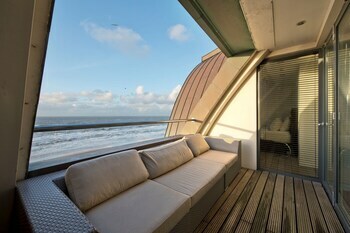 Located in Bloemendaal aan Zee, Poort Beach Hotel Apartments Bloemendaal is by the sea, within a 5-minute drive of Zandvoort Beach and Circuit Park Zandvoort. The front desk is staffed during limited hours. Self parking (subject to charges) is available onsite. When you stay at Bed & Breakfast Ouwerveldezicht in Wouwse Plantage, you'll be 10 minutes by car from Rosada Factory Outlet. Free self parking is available onsite. Located in Amstelveen, Station Amstelveen is within a 15-minute drive of Heineken Music Hall and Amsterdam ArenA. Free self parking is available onsite. Located in Noordwijk aan Zee, Hotel Astoria is by the sea, a 5-minute drive from Museum Noordwijk and 5 minutes from Lighthouse Noordwijk. Self parking (subject to charges) is available onsite.